PERRYSBURG, Ohio (Jan. 9, 2019) - Owens-Illinois, Inc. (NYSE: OI) has scheduled its fourth quarter and full year 2018 conference call and webcast for Wednesday, Feb. 6, 2019, at 8 a.m. EST. The Company's news release for the fourth quarter and full year 2018 earnings will be issued after the market closes on Tuesday, Feb. 5. 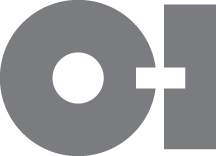 Earnings presentation materials will also be posted on the O-I website, www.o-i.com/investors, when the earnings news release is issued. The webcast will be archived at www.o-i.com/investors until Feb. 2020. To participate in the event via conference call, dial 1-888-733-1701 (U.S. and Canada) or 706-634-4943 (International) by 7:50 a.m. EST, on Feb. 6. Ask for the O-I conference call.